Hitting top speed in a go-kart by pedalling as fast as you can is a thrilling experience for kids. Having mastered that, the next step for young karters is to pit their skills against others in a race. Of course, it’s not just raw power and acceleration that’s required to succeed on the race track. We’ve boiled down some of the best go-karting tips and advice so you can help your little racers become champions. As the well-known phrase goes, if you fail to prepare then prepare to fail. The first step in helping your child prepare for a race is to make sure their go-kart is set up correctly. To maximise safety and the chances of winning, you’ll need to check that wheels and brakes are in good condition and all other moving parts are working as they should. It’s equally important to ensure that the seat is positioned correctly. The racer should be in a comfortable position and be able to reach the steering wheel easily. Furthermore, with a pedal go kart, it’s crucial they can extend their legs when pushing the pedals for maximum power. Children will quickly learn to direct their go-karts using a steering wheel, even if at first it feels a bit like trial and error. To help them build these skills further, you should encourage them to hold the steering wheel at the ‘quarter to three’ position and help them to steer relatively gently and smoothly. Applying the brakes may seem counterintuitive for children when the aim of a race is to be the fastest around the track. Once they get the hang of using the brakes to give them a little more control, especially when combined with good steering skills, they’ll be better racers as they will be able to negotiate corners more effectively. 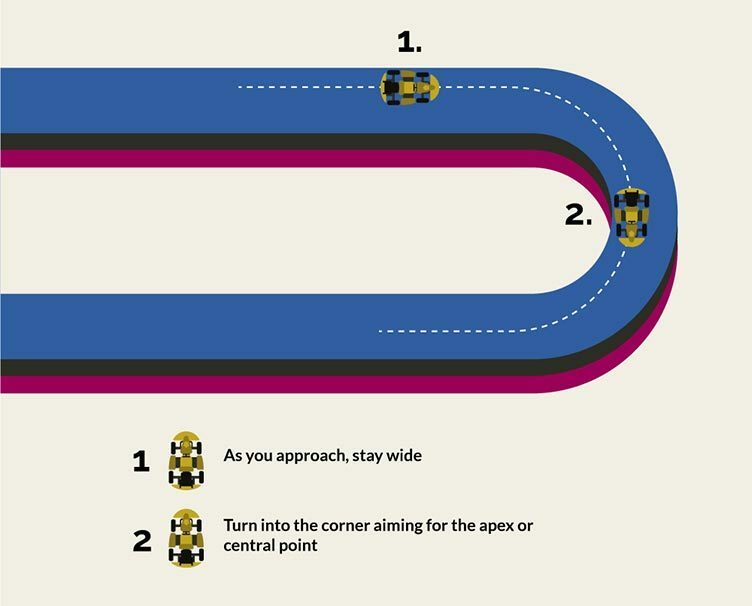 Races can be won and lost at the corners so showing children how to properly enter and exit corners will help them achieve the best go-karting performance. Teaching them to enter a corner wide to cut down the amount they need to turn is the first step. As they approach, they can reduce their speed by braking or slowing and even stopping their pedalling, although it’s best to make sure that their feet remain on the pedals. The trickiest part is knowing when to turn and this can take a lot of practice. Generally though, showing them to turn into the corner aiming for the central point is advised. How they enter a corner is only half the story, being able to exit a corner effectively is an equally valuable skill and preaching the mantra of slow in and fast out can really help them hone this skill. Having entered the corner and got to the central point, go-kart drivers should aim towards the outside of the track. 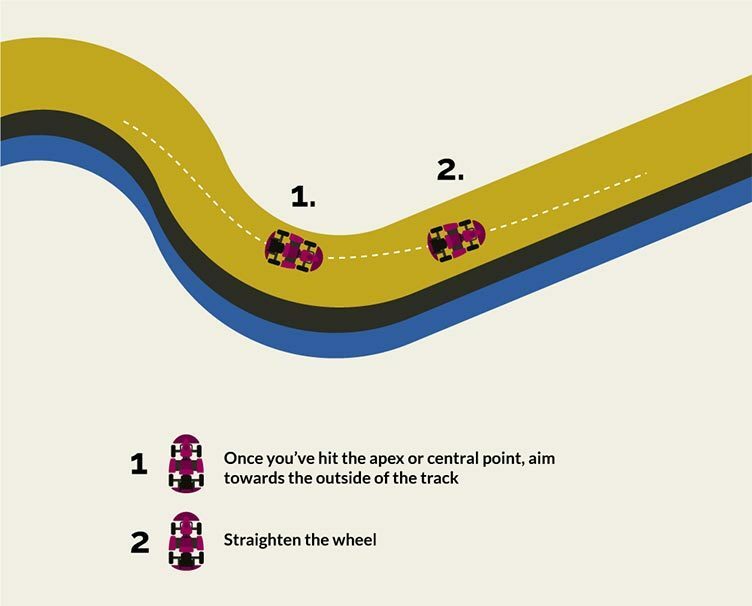 Once they’re heading in that direction, more steering is required to straighten the wheel as they come out of the bend. At the same time as they start to come out of the corner, it’s time to get those legs pumping again to propel themselves up to full speed once more. Many children are fearless at this stage in their life when they develop so many skills, so you’ll probably find they pick up the ability to be top drivers incredibly quickly. Although, as winning a race can come down to such fine margins, the more practice they can get the better. And, with these handy tips, maybe you have a future Formula 1 champion on your hands. It’s never too early to start on the road to pole-position – take a look at our range of pedal-powered go-karts for children aged from 3 up to 10.